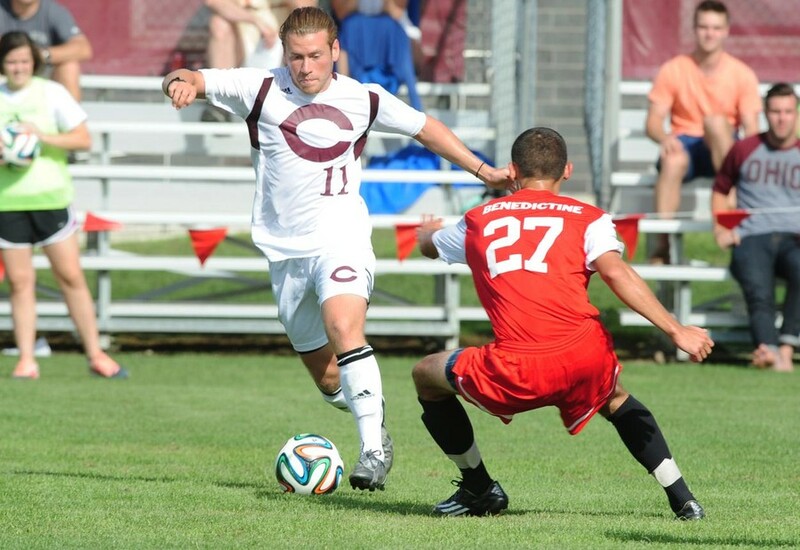 The Maroons capped off their regular season in dramatic fashion, blanking the Wash U Bears 1–0 and solidifying their UAA title for the first time since 2009. With the win, Chicago captured its third conference championship in school history and received its sixth NCAA playoff berth. Chicago (11–5–2, 5–0–2 UAA) scored the only goal of the afternoon in St. Louis after third-year midfielder Jorge Bilbao took a free kick 26 yards out in the 74th minute, which deflected off the wall of Wash U (8–7–2, 1–5–1 UAA) defenders and into their net. The Maroons were also aided by the stellar goalkeeping of first-year Hill Bonin, who blocked all four shots on goal for his seventh shutout of the season. Bonin explained his mentality and how he maintained his acute focus. Bonin’s focus looked to be in demand early as the Chicago offense appeared slightly subdued in the first half, only mustering two shots. Bonin acknowledged the cautious approach taken by the offense but was quick to point out that some well-executed adjustments helped turn the game in the Maroons’ favor. Bilbao put the team’s mentality in a broader perspective, explaining how its cohesive structure has led to its success. Just yesterday, Chicago received its NCAA regional matchup, which will be played this Saturday on the road. The Maroons will take on unranked St. Scholastica (20–2–0) in Waverly, IA next Saturday in the first round of the NCAA DIII tournament. St. Scholastica has won its last 17 games and is champion of the Upper Midwest Athletic Conference tournament.